Yash Chopra is back donning the hat of a director with his untitled romantic saga. His last film as a director, Veer Zara, too starred Shah Rukh Khan in the lead role. This time Shah Rukh Khan would be seen romancing two of the most prettiest ladies in Bollywood currently, Anushka Sharma and Katrina Kaif. 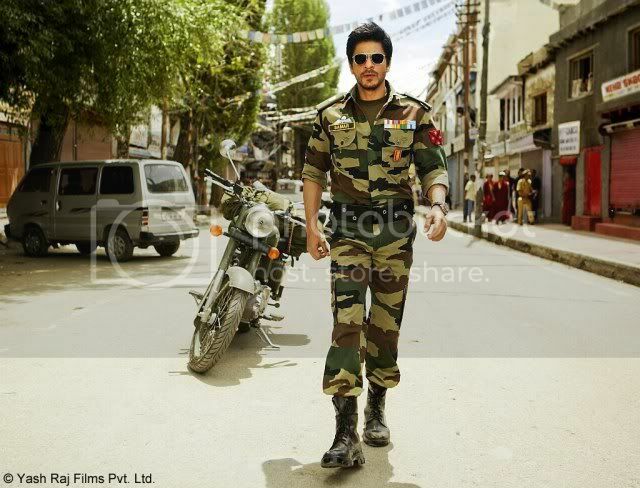 Here is a look at some exclusive pictures of Shah Rukh Khan as a military officer in the film. 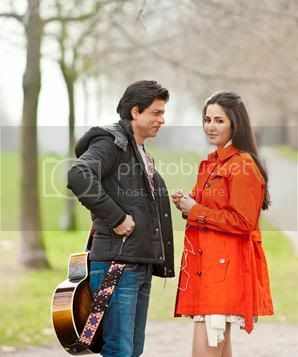 Also check out the theatrical of the untitled Yash Chopra film starring Shah Rukh Khan, Katrina Kaif and Anushka Sharma. The movie also has the soundtrack given by A.R. Rehman. Thus seeing a first of its kind combination of A.R. Rehman and Yash Raj Films. The music soundtrack is hence greatly anticipated. Ek Tha Tiger is set to release on 15th August and the music channels are buzzing with music videos from the movie. The soundtrack however has not been a major chart buster, but still expectations are sky high from the movie. 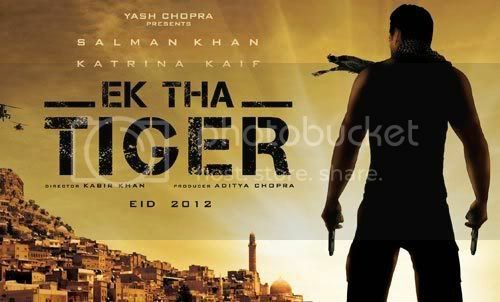 Ek Tha Tiger is one of Yash Raj’s biggest release of the year and also Salman Khan’s first major film with Yash Raj Film. Also after their breakup, Salman and Katrina would be sharing the space on the big screen for the first time. Here is another new song from Ek Tha Tiger, Laapata. The song has Katrina Kaif and Salman Khan romancing together and is your typical Bollywood song, nothing new to offer in it. K. K. and Palak Muchhal have given vocals for the Laapata song. The music is given by Sohail Sen.
Ek Tha Tiger is amongst one of the most awaited films this year. And why not, when it stars Salman Khan and Katrina Kaif, it better be amongst the most awaited films. Salman’s last 4 films – Wanted, Dabangg, Ready and Bodyguard have been blockbusters at the box office. 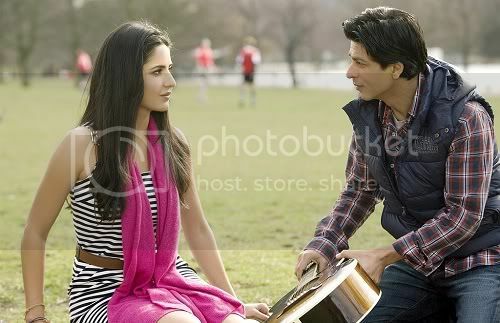 And this time round when he teams up Katrina and the Yash Raj Films team, things can rarely go wrong. Kabir Khan the director of Ek Tha Tiger has hired popular Hollywood stunt directors like Conrad Palmisano and Markos Rounthwaite for the movie, to ensure that no stone is unturned for the action scenes of the movie. The trailers have already sparked excitement for the movie, and after the Mashallah song, the next song Banjaara hits the screens now. Watch the trailer of the Banjaara song exclusively here. While Ek Tha Tiger has been in new for quite a while. The song promos had not still hit the TV screens. 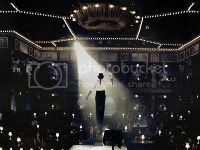 The promos were restricted to digital posters and theatrical dialogue trailers. The makers now come up with the official song trailer – Mashallah from Ek Tha Tiger. The Mashallah song from Ek Tha Tiger song has been composed by Sajid-Wajid. The vocals of the song are given by Wajid and Shreya Ghoshal. The song which has an Egyptian feel to it and has Katrina Kaif do a belly dance, is sure to become a chartbuster soon. Looks like the makers of Ek Tha Tiger are in no hurry to reveal the soundtrack of the movie. Just when we have been expecting them to come up with the songs of Ek Tha Tiger with Salman and Katrina romancing each other, they have come up with another digital poster. Ek Tha Tiger had even initially released the first look of the movie through a digital poster and they continue to generate interest in the film through them. The poster however is very well done and the background score is an adrenaline pumping one. Watch the exclusive digital video poster of Salman and Katrina’s Ek Tha Tiger. 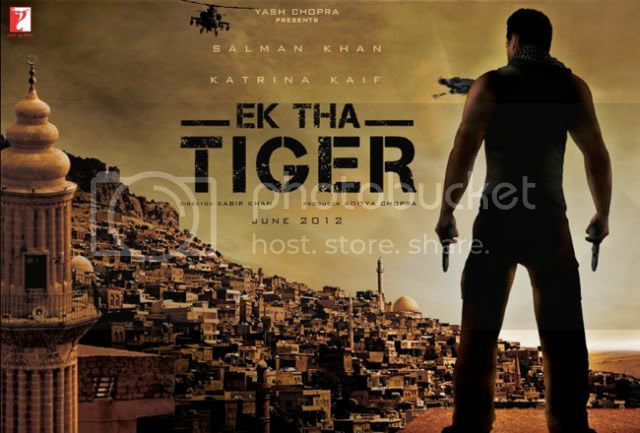 One of the most awaited films this year, Ek Tha Tiger, is all set for release this Eid. 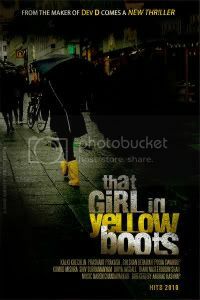 The movie produced by Yash Raj Films, stars Salman Khan and Katrina Kaif in the lead role. Salman Khan plays the role of Tiger, an undercover spy working for India’s secret service – RAW. 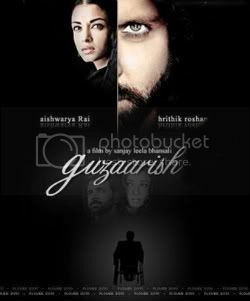 The movie is directed by Kabir Khan, whose earlier associations have also been with Yash Raj Films. His films Kabul Express and New York, have done well at the box office. Lets wait and watch whether he manages to make a hatrick of hits with Ek Tha Tiger. For now, here is a sneak peek of Ek Tha tiger’s theatrical trailer starring Salman Khan and Katrina Kaif.